If change and innovation are important, not just for survival but for success and profitability it is up to each of us to be conscious of the need to give the “can team” a chance before the “may team” takes over, writes social impact specialist Richard Meredith. There are two opposing teams in the great race. They are called “may” and “can”. “what’s it going to cost?” (financial) or “I’m concerned about the perception that…” (communication) or “do we have a plan?” (managerial) or “we couldn’t do that because…” (legal / compliance). And so on. This is your may team talking. The may team gives permission. “You may or may not do x, y, z.” The may team offers the certainty of authoritative and conclusive answers. It is easy and often convenient to be led by the may team. Your can team, on the other hand, are experimenters. They come up with half-formed notions they want to explore. They like to pull on their boots to go take a look over the precipice. They like ideas, change, open thinking, being adventurous and entrepreneurial – often without much of a plan. Are you being sabotaged by your may team? Do you unconsciously seek permission from those with certain answers? The board of a small public benefit group got together to plan their future. The most critical, life-saving need for this organisation was to raise money to stay afloat. The need to raise funds was as plain as the nose on your face. With fundraising high on their minds the group began its planning dialogue. Within less than an hour that dialogue shifted from exploring ways to go about raising funds to weighing up risks, discussing abstract ethical issues and proffering opinions about the morality of certain corporations which “we shouldn’t deal with”. Their thinking had moved from the open exploration of ideas of their can team with its attendant uncertainties, its twists and turns, to the certainty of their may team intervention with its authoritative answers – rules and precedents. When they left the meeting they had decided to develop a “responsible funding policy”. No decision had been made about how to raise much needed funds. Choose can although may might look easier. Our can team and our may team coexist in our minds. We have a choice between can and may but we can only make that choice if we are conscious of the plays being made by the can and may teams. When we are fully conscious we can choose which team is appropriate at each point in our projects, our planning or our board deliberations. Invoking the can team takes patience, courage and being comfortable with uncertainty. Most of us, I suspect, prefer the may team with its certainty; its quick answers; the comfort of the status quo and the permission of experts. If we think change and innovation are important, not just for survival but for success, profitability and enrichment, I believe it is up to each of us, whether we are on boards, in project teams or planning a family holiday to be conscious of the need to give the can team a chance before the may team takes over. “We couldn’t actually do that.” – The may team wants to impose rules to stop the can team getting started. “I am concerned about the perception.” – I want to retain the status quo. “I’m a realist.” – I have the best set of rules which we can all follow. “Do we have a plan?” – I don’t trust experiments, exploration or imagination. “This is blurring the lines between…” – I have a fixed view of…. “I’d like to see how that adds up in terms of budget” – The dollars determine everything. If I can’t see the cost I don’t want to discuss it. “We need a policy” – I prefer to put may before can. “I have a theory” – I have a closed mind. “What are the drivers?” – I need to organise items into groups so I feel I’m in control of them. 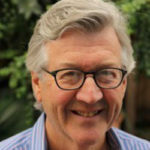 About the author: Richard Meredith is the chairman of The Good Life Farm, which provides animal based healing for extreme “at risk” young people who have suffered from violence, abuse and neglect and who are unable to cope in normal school and community settings. He is the founder of Bridging the Gap, a professional leadership organisation that helps under resourced social impact organisations to achieve long term viability. Richard Meredith is the chairman of The Good Life Farm and founder of Bridging the Gap.